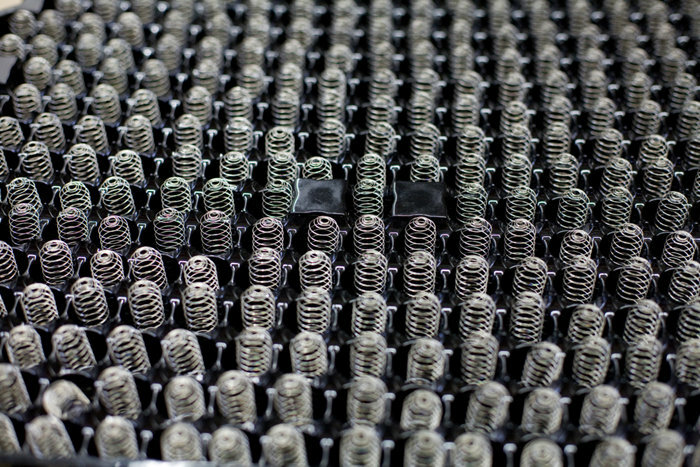 Badly tangled springs are a nuisance for every production line. 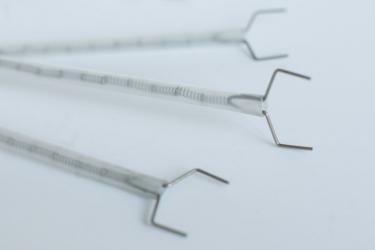 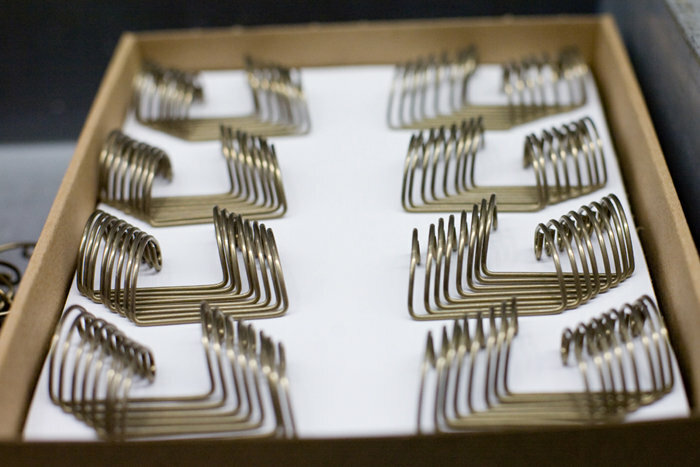 We can offer various methods of individual part delivery. 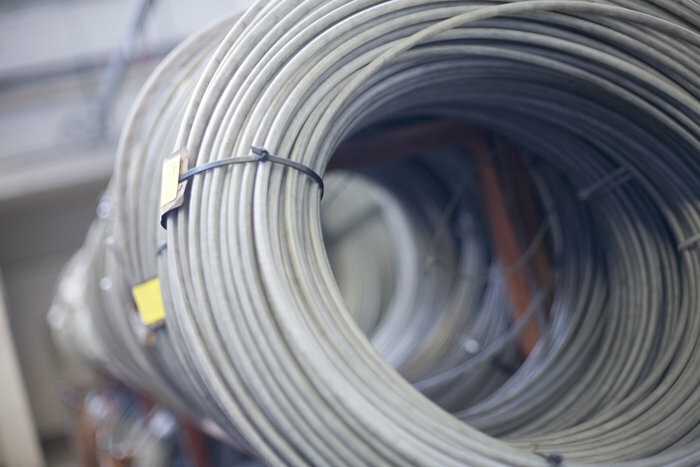 Alongside adhesive film and honeycomb packaging, we also use for example pipes and bars. 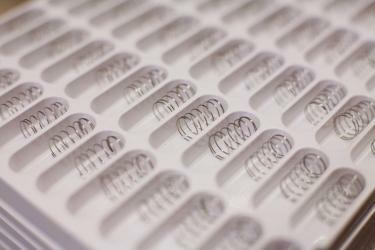 Our tube packaging units in lengths of up to 250 m offer an additional option for automatic feeding into your production. 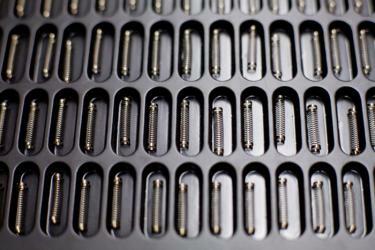 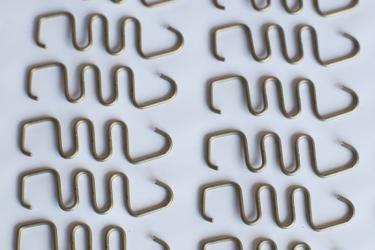 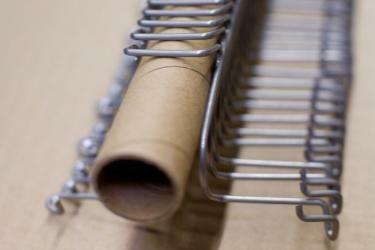 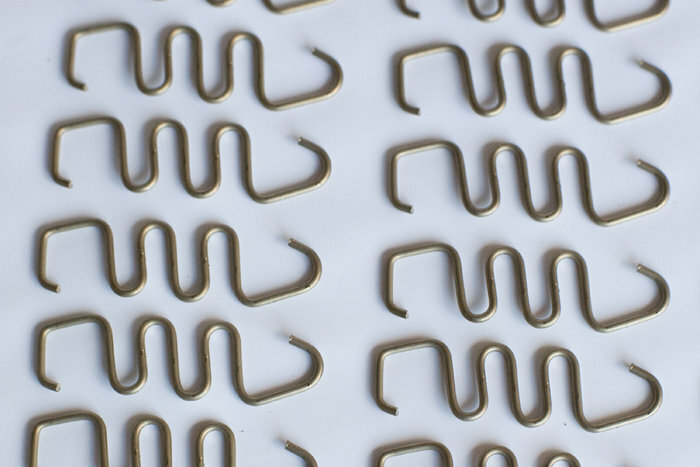 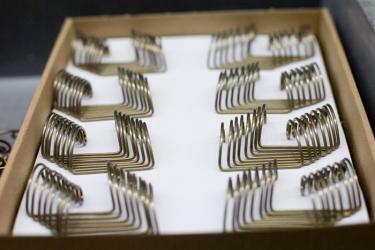 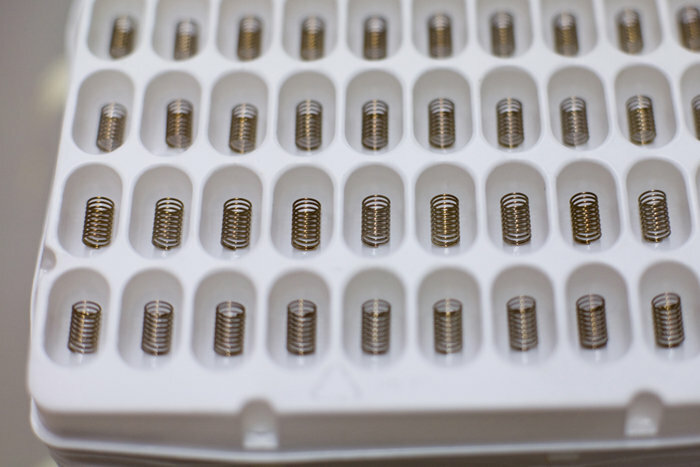 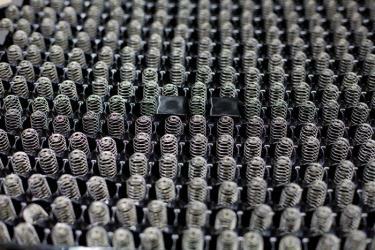 Special plastic trays enable compression springs to be packaged individually. 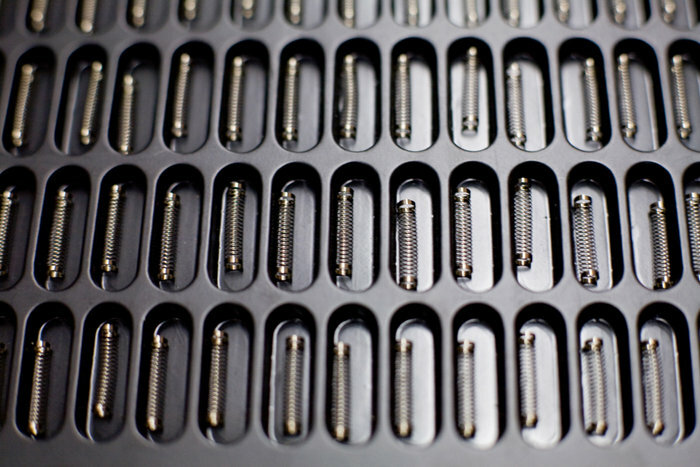 Leg springs can be delivered individually or in groups using special adhesive films, depending on your processing requirements. Tube packaging in various lengths.